Malaria is one of the most common vector-borne diseases widespread in the tropical and subtropical regions. Despite considerable success of malaria control programs in the past, malaria still continues as a major public health problem in several countries. Vector control is an essential part for reducing malaria transmission and became less effective in recent years, due to many technical and administrative reasons, including poor or no adoption of alternative tools. Of the different strategies available for vector control, the most successful are indoor residual spraying and insecticide-treated nets (ITNs), including long-lasting ITNs and materials. Earlier DDT spray has shown spectacular success in decimating disease vectors but resulted in development of insecticide resistance, and to control the resistant mosquitoes, organophosphates, carbamates, and synthetic pyrethroids were introduced in indoor residual spraying with needed success but subsequently resulted in the development of widespread multiple insecticide resistance in vectors. Vector control in many countries still use insecticides in the absence of viable alternatives. Few developments for vector control, using ovitraps, space spray, biological control agents, etc., were encouraging when used in limited scale. Likewise, recent introduction of safer vector control agents, such as insect growth regulators, biocontrol agents, and natural plant products have yet to gain the needed scale of utility for vector control. Bacterial pesticides are promising and are effective in many countries. Environmental management has shown sufficient promise for vector control and disease management but still needs advocacy for inter-sectoral coordination and sometimes are very work-intensive. The more recent genetic manipulation and sterile insect techniques are under development and consideration for use in routine vector control and for these, standardized procedures and methods are available but need thorough understanding of biology, ethical considerations, and sufficiently trained manpower for implementation being technically intensive methods. All the methods mentioned in the review that are being implemented or proposed for implementation needs effective inter-sectoral coordination and community participation. The latest strategy is evolution-proof insecticides that include fungal biopesticides, Wolbachia, and Denso virus that essentially manipulate the life cycle of the mosquitoes were found effective but needs more research. However, for effective vector control, integrated vector management methods, involving use of combination of effective tools, is needed and is also suggested by Global Malaria Control Strategy. 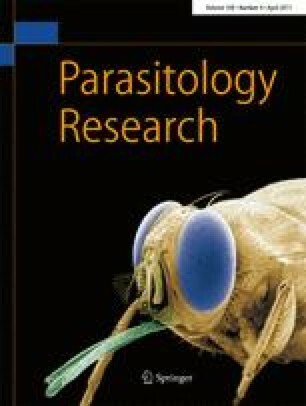 This review article raises issues associated with the present-day vector control strategies and state opportunities with a focus on ongoing research and recent advances to enable to sustain the gains achieved so far. WHO (2005) Regional strategic framework for scaling up the use of insecticide-treated nets http://www.searo.who.int/LinkFiles/Reports_MAL-239_&_VBC-87.pdf.